While the negative effect of uncertainty shocks on economic activity is well documented in many empirical studies, little is known about the extent to which the effect differs across various kinds of uncertainty, especially in the emerging market economy context. Using the newly available economic policy uncertainty index from six emerging market economies (Brazil, Chile, China, India, Korea, and Russia), we compare the impact of financial uncertainty shocks—measured by stock market volatility—and that of policy uncertainty shocks on the economy. We find that financial uncertainty shocks have much larger and more significant impact on output than policy uncertainty shocks, except for China where the government has direct controls over financial market activity. While our finding differs from the existing studies about advanced economies that find no smaller effects of policy uncertainty shocks on output than financial uncertainty shocks, it is consistent with the recent emphasis on financial frictions as a propagation mechanism of uncertainty shocks. 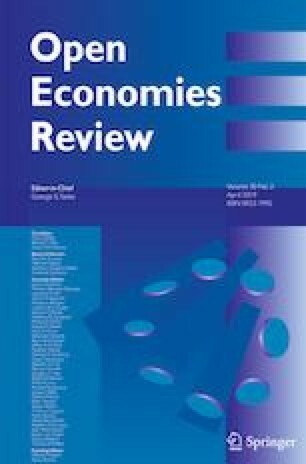 The previous version of the paper was circulated under the title “Financial vs. Policy Uncertainty in Emerging Economies: Evidence from Korea and the BRICs.” We have greatly benefited from the extensive comments and suggestions by the editor and two anonymous referees. We would like to thank Hie Joo Ahn, Nina Biljanovska, Yan Carriè re-Swallow, Yongsung Chang, Minchul Shin, Taeyoon Sung, Ling Zhu, and seminar participants at Korean Econometric Society Summer Meeting for their helpful comments and suggestions. Youngkeun Choi provided excellent research assistance. This work was supported (in part) by the Yonsei University Future-leading Research Initiative of 2017 (2017-22-0152). All remaining errors are ours.